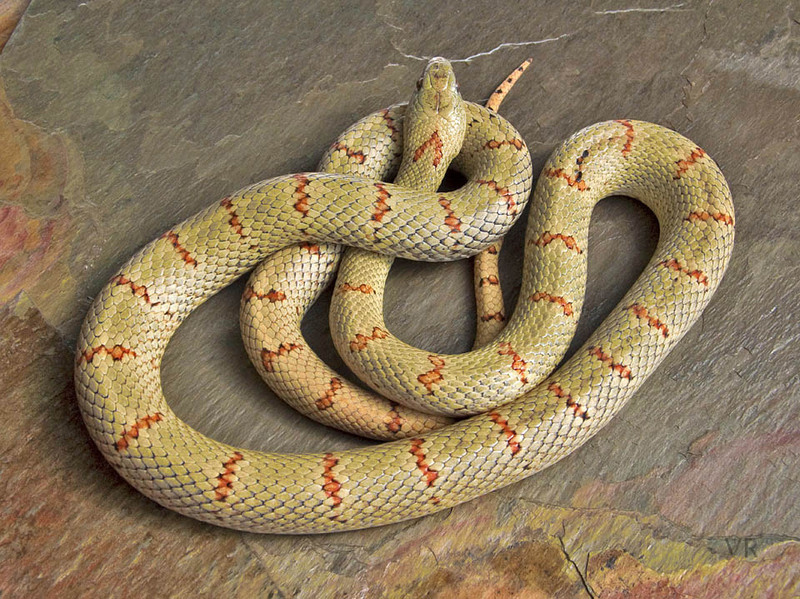 Variable Kingsnake, EarthTone Leonis phase. There is not much stippling in evidence on this ET and even though the yellow pigment is in place, the greenish effect is canceled by the lack of stippling. The base color on this leonis is a beautiful, a flat ivory yellow.